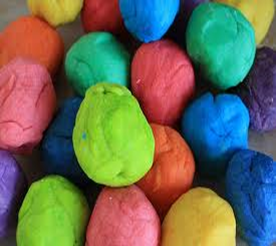 This is an inexpensive, creative and fun activity to do with children, which can provide hours of entertainment. For a treat for your senses, add sand or glitter for texture, food colouring for colour and essessences such as orange or peppermint for scent. Mix all ingredients together in a medium sized saucepan. Stir over heat until dough is pliable. Homemade ice blocks can be a healthy summer treat for the kids! These ice blocks are inexpensive to make, taste great, healthy and can be made and enjoyed by the whole family. Ice block molds can be purchased at most supermarkets, although ice cube trays can be used as an alternative. The basis for your ice blocks can be either fruit juice or yoghurt. Add to this chopped or pureed seasonal summer fruits such as bananas, strawberries, peaches or rock melon. Pour mixture into molds and leave in the freezer to set. Enjoy!